Tonight's post is dedicated to a few thangs that have recently entered my life/wardrobe. I talked about this dress a little in my latest video but I thought it deserved to get in on the action here too. That's how much I love you, dress. 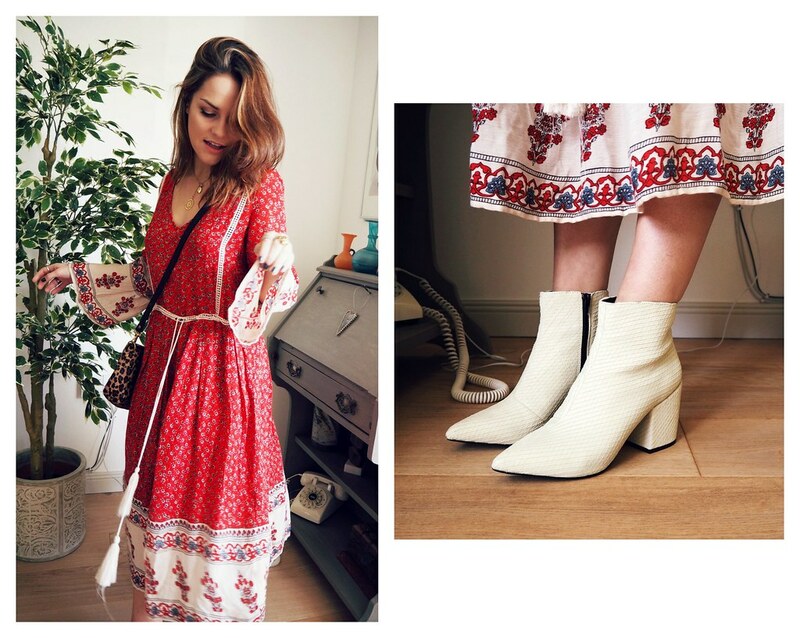 It's in the style of the floaty, seventies Free People dress that I perve on on an almost daily basis, and was hiding at the back on the Zara sale rack for a mere £17.99 - for that reason it's going down in my diary as one of my best sale finds yet. And the bag, oh the bag. I'm the proud owner of a few Baia bags and can honestly say they just get better every time. I chose the detailing on my last two and, despite this one coming from the ready-made collection, it's like it was made straight from my own head. Leopard ponyskin outer with a burgundy suede inner... I mean, c'mannnnn. Perfect. 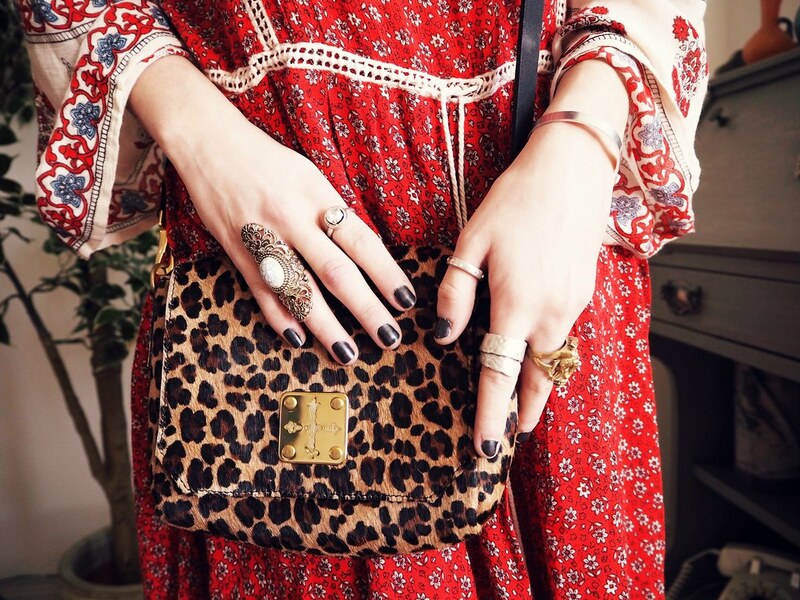 There's four beautiful bags in the animal print collection, so make sure and give them a quick browse (you will not regret, I promise). I saw that dress and I was confused if I should buy it or not and I ended up not bringing him home and now I regret it so much!! 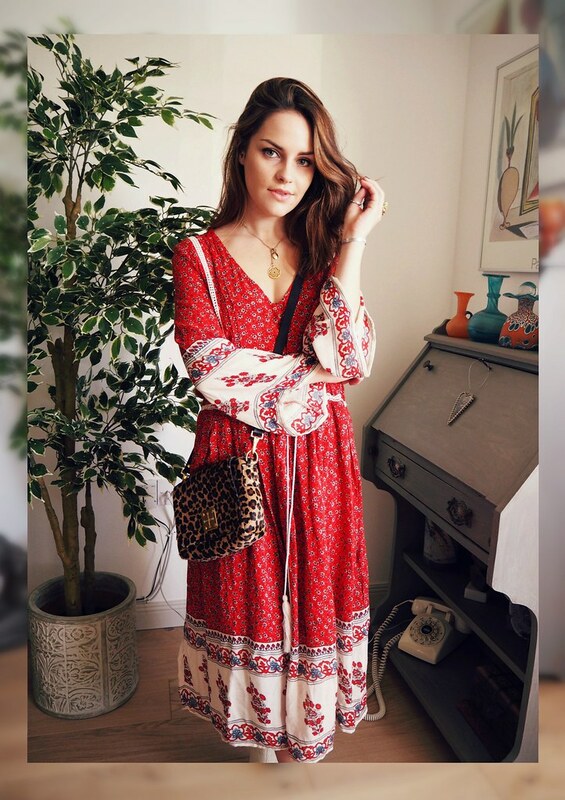 What pretty dress, it's perfect with the leo bag! Oh my word, that dress is just BEAUTIFUL 😍 I have to say that this far beats some of my sale finds! I love how you have styled it too. Gorgeous! Looking fab with your Baia bag! I'm loving the dalmatian print drawstring one. Also, I totes have those boots, but they're nowhere near as clean as yours. Good work! ahh you look beaut! Also I am in love with THIS dress. ugh that dress! so happy i stumbled upon your blog. definitely right up my street! Hey I nominated you for the Versatile Blogger Award ! I love your blog and I would love to find out more about you ! I am loving your indoor photos missy, they're simply stunning and look very retro/vintage vibe. This dress is to die for literally looks gorgeous on you! This dress is soooo beautiful! Absolutely stunning! I think I might need that dress in my life .. Such a beautiful, unique dress! I love how it looks with the bag, just lovely! DAMN those shoes are insane! I love the point and texture, they would be awesome to transition! I honestly thought that was going to be a Free People dress but wow, Zara did good ! I need this dress in my life so bad right now. It's the perfect dress - it's what has been missing from my wardrobe my whole life!! Love it. I totally thought it was Free People for a second. WANT! those white booties are amazing!